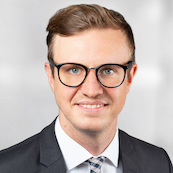 Nils Britze is Head of Business Process Digitization at Bitkom e.V. He gained professional experience as research associate at a private business school in Berlin within the research cluster "Dynamic Change in Business and Society". In this six-year activity, he published articles on the impact of the knowledge economy on businesses and taught economics and business courses. Furthermore, he gathered work experience from the Department of Corporate Communications of the German-Czech Chamber of Commerce and Industry in Prague, the Department of Economic Policy at the Industrial Trade Union for Mining, Chemical and Energy sectors (IG BCE) in Hannover and the Trade and Investment Department of the Canadian Embassy in Berlin.